Thank you to Michiana Lean for sponsoring this event! Program Title / Synopsis: A3 Overview- Building a Lean Curriculum to penetrate our entire organization with the skills necessary for professional development and leaning operations. Program Learner/Participant Objectives: General understanding of how to use an A3 to solve developing an appropriate level curriculum for all employees to use in their daily work. Eric DeLong has been with the City of Grand Rapids since May of 1995, first as Assistant City Manager for Public Works, then as Deputy City Manager in 1999, and then as Deputy City Manager/Chief Operating Officer since 2017. Eric DeLong was selected as Grand Rapids Interim City Manager on January 30, 2018. Mr. DeLong coordinates policy and direction for the approximately 580 employee, $310 million, Design Development and Enterprise Systems Service Group, Community Services Group and Administrative Services Group. Mr. DeLong also directs state and federal legislative activities for the City along with leadership roles in the City’s lean thinking and sustainability initiatives. Mr. DeLong served as a member of the Governor’s 21st Century Infrastructure Commission in 2016. He was appointed to the Michigan Council on Future Mobility and the Michigan Trial Court Funding Commission by the Governor in 2017. Mr. DeLong is a member of the International City/County Management Association (ICMA) and has served in local government for over 30 years. Prior to 1995, Mr. DeLong served as Village Manager of the Village of Spring Lake for 13 years where he was involved in an effort to consolidate the Village of Spring Lake and the City of Ferrysburg. Brandy Moeller has been a passionate civic investor for over 8 years, serving the citizens of Grand Rapids. This graduate of Davenport University has also become our most recent addition to the group of Lean Certificated employees from the program conducted through Grand Rapids Community College. Since graduation Brandy has been involved in a variety of lean projects throughout the City's Enterprise service group, one being spreading the Lean commitment through education. Program Title / Synopsis: Developing Lean Managers - Shifting from resource focused efficiency to customer-focused flow efficiency. How can leaders change the culture of the organization by looking at the processes through the lens of a customer? Program Learner/Participant Objectives: To introduce to the people in management and supervision position a different way of running a more efficient operation that is focused more on customer service. Targeted Audience: Managers and Supervisors. Alen Ganic moved to Grand Rapids, Michigan in 1997 from Goppingen, Germany. In Germany, he studied supply chain management. He also received CPIM Supply Chain Management certification from APICS (The Association for Operations Management) and Lean certification from Grand Rapids Community College. Alen serves as Inventory and Asset Manager for the City of Grand Rapids, Michigan. He loves Lean, continuous improvement philosophy, and since 2004 he is practicing and mentoring others. In his free time, Alen enjoys hiking, kayaking and helping a non-profit organization, West Michigan Community Relief, with collecting and delivering donations to the refugee families in the Grand Rapids area. Steve Kane is Director of Customer Success for Gemba Academy, LLC, a provider of online Lean and Six Sigma training content. He brings to this role his experience in Lean leadership and executive operational management to assist customers with Lean learning and implementation. Prior to joining Gemba Academy, Steve was Vice President of Operations for Specialty Silicone Fabricators, Inc., a contract manufacturer of medical silicone, bioresorbable materials, and medical device-drug combination components based in Paso Robles, California. Steve is a Lean leader who emphasizes a customer focused culture. 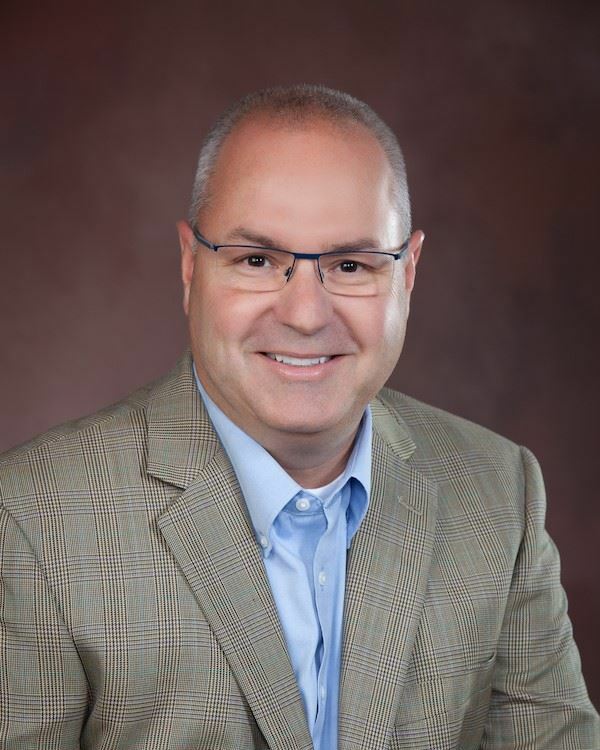 His professional experience includes Lean supply chain management, sales, satellite plant operations management, value stream management and multiple site operations. He has also served on the board of directors for the AME Western Region and the Advisory Board for the Central Coast Lean Forum. Steve received a B.A. in philosophy from the University of California, Santa Cruz, a project management certificate from the University of Minnesota Extension, and a Lean Champion certificate from Northwestern Michigan College. He has served in the United States Army Reserve and volunteered as a police officer and deputy sheriff in Orange County, California. A Strategic and hands-on leader, an accomplished change agent with a track record of leading cultural change, mitigating risks, managing assets, driving advanced technologies, accelerating growth, and maximizing ROI for manufacturing operations. Repeatedly delivered rapid and sustainable performance improvements in turnaround assignments and projects: restored double digit returns to key business units, transformed operational systems, spurred revenue growth, improved morale, and positioned businesses for growth and/or divestiture. Recognized for ability to solve complex issues utilizing 6σ tools, created blueprints for organic growth, and implemented systems to guarantee business growth and performance. Decisive professional and creative collaborator who brings a strong combination of vision, strategic planning, task orientation, and interpersonal skills to a leadership role. He is also an Adjunct Professor in the College of Engineering at the Indiana Institute of Technology. He served on the advisory board at BTOES17 (Business Transformation & Operational Excellence World Summit in Orlando, Florida 2017). 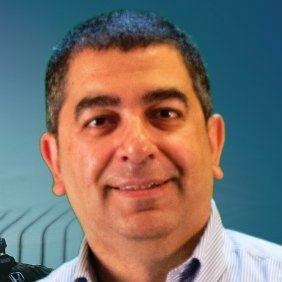 Riad is a frequent guest speaker at national and international conferences including OPEX WEEK 2017 in San Diego and Orlando 2018, BTOES 2017, Noria Reliable Plants 2012-2013 and 2018, etc. Riad has developed a new lean device named “Honky-Tonk” that is based on the TPS-Jidoka system, basically making any machine a smarter one. Riad (Ray) is the Founder of Michiana Lean, LLC located in Elkhart Co. Indiana, RV Capital of the world. He is the former senior director of Production Engineering and Continuous Improvement at Leggett & Platt, Adjustable Bed Division. He led the division NPI activities and works closely with the commercial team to ensure that new products or customer products are properly developed, qualified, managed, and launched into production. This role also provides guidance and experienced technical and quality support to the production engineering and quality teams on critical issues such as quality and productivity improvement. He brings over 27 years of experience (over half in Japanese companies) in the areas of supply chain, asset management, production engineering, maintenance and manufacturing, including fabrication, assembly and testing. Former employers include: Zimmer Biomet, Toyota Boshoku, Leggett & Platt, Borg-Warner, Denso Corporation, Harley-Davidson/Utilimaster, and General Motors/ Saturn plant. He is a subject matter expert in Operations Excellence. He is certified in Ergonomics, Lean Manufacturing, Total Industrial Engineering, Change Management and VA/VE. He has completed a Lean Six Sigma Black Belt from the University of Tennessee, Center for Executive Education. Furthermore, Riad is also a Malcolm Baldrige Examiner-in-Training. Riad holds a Master of Science Degree in Engineering Management and a BS degree in Industrial Engineering from The University of Tennessee, Knoxville. Please see attached map, and look for parking ramp GC, and note that MLC will validate parking for this ramp. The City of Grand Rapids is providing bottled water and MLC is providing coffee and snacks.